An affiliated program of University of the Montreal, the ÉPIC Center’s research was presented at the Canadian Cardiovascular Congress in Toronto earlier this week. Focused on the vascular endothelium—the blood vessels’ inner lining—researchers measured the effects of junk foods high in saturated fat and the popular Mediterranean diet, which focuses on “good fats” such as olive oil, nuts and seeds. According to lead researcher and Director of Research at the Cardiovascular Prevention and Rehabilitation Centre, Dr. Anil Nigam, the team was able to look at how the arteries would dilate within several hours after consuming either of the meals. Subjects ate healthy Mediterranean style meals first, before moving on to junk food a week later. The healthy meals were made up of fish, nuts, olive oil, and vegetables, with 51 percent of the total calories coming from fat. The unhealthy meals, made from sausage, egg, cheese, and hash browns, were 58 percent fat. 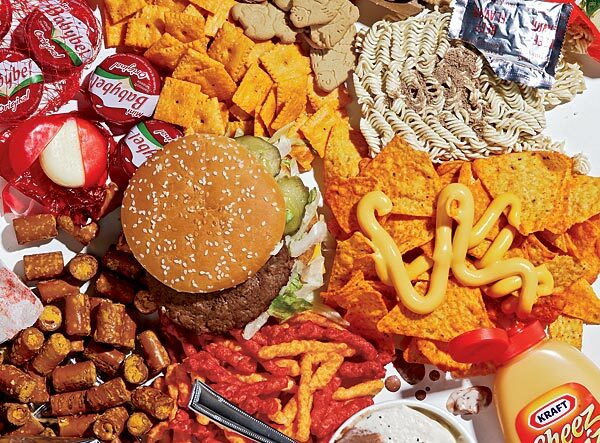 Those participants who ate the junk food meals experienced 24 percent less dilation of arteries than they did when fasting (done for the 12 hours before the meal). Those who ate the Mediterranean meal had normal artery dilation and maintained good blood flow. Likewise, subjects with already existing high triglyceride levels experienced greater dilation after the healthy meal.